I would probably have never visited Aurel, one of the many villages perched on the hills of Provence, if I hadn’t overnighted. The view on the surrounding hills is lovely and the hamlet is perfectly positioned for a drive across the purple lavender fields, to visit a lavender farm and to do some ‘village-hopping’, starting from the lovely town of Sault and its morning market. Compared to other nearby towns like Gordes, Roussillon and Menerbes, included in the list of the most beautiful villages in France, Aurel is a quiet and quaint little town and a favorite to cyclists looking for a challenge (and certainly a lot of fun) pedalling up and down the rolling hills. 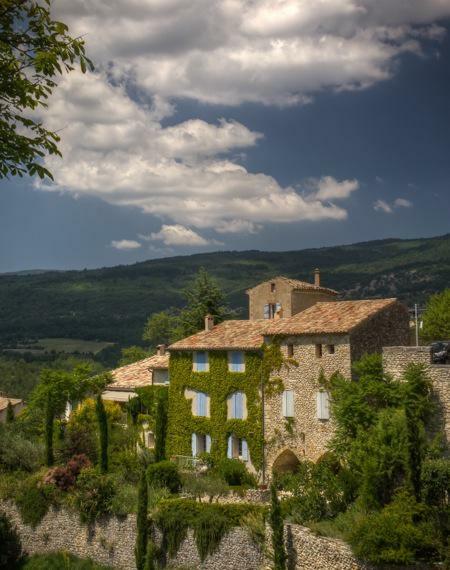 With less than 200 residents, Aurel has the sleepy charm of a Provence hamlet that preserved most of its authenticity. Narrow alleys, old houses with pastel colored shutters and doors, simple but tasteful flower decorations. As I strolled around, I was impressed by the silence and the emptiness. I met only a handful of elderly people for Aurel, like many small towns, was abandoned by young people who moved to the cities in quest of a job and more entertainment. In some way it’s saddening, although it’s as well the reason Aurel kept its flare of yore. 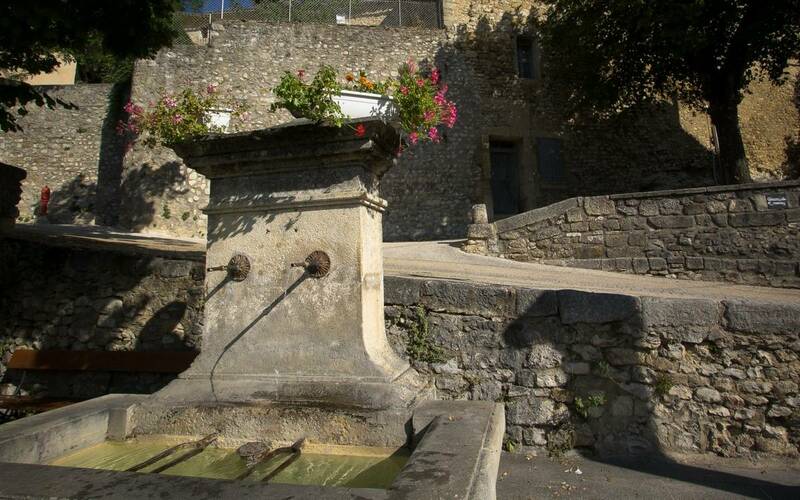 The style of the village reflects the history and economy of this area of Provence, rural and poor. The pretty fountain in the main square, where many locals still stop to refill bottles, reminds of how scarce water is in this region. No signs of the ‘grandeur’ of France’s big cities. 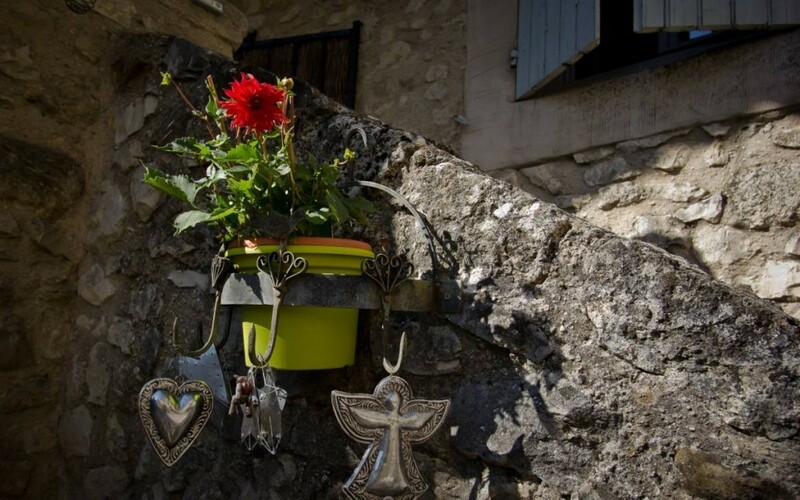 The charm of Aurel and of Provence is in its tasteful simplicity. Getting there: Aurel is about 130 km (81 mi) from Marseille, 70km (43 mi) from Avignon and 115 km (71 mi) from Aix-en-Provence. Unless you’re traveling to Provence with your own vehicle, hiring a car is highly recommended. Where to stay: The Relais du Mont Ventoux, an old coaching inn, is a simple but charming guest house with a beautiful view on the countryside and serving excellent food. Don’t miss to stop for lunch or dinner. The restaurant is excellent and the view from terrace overlooking the surrounding hills is enchanting. 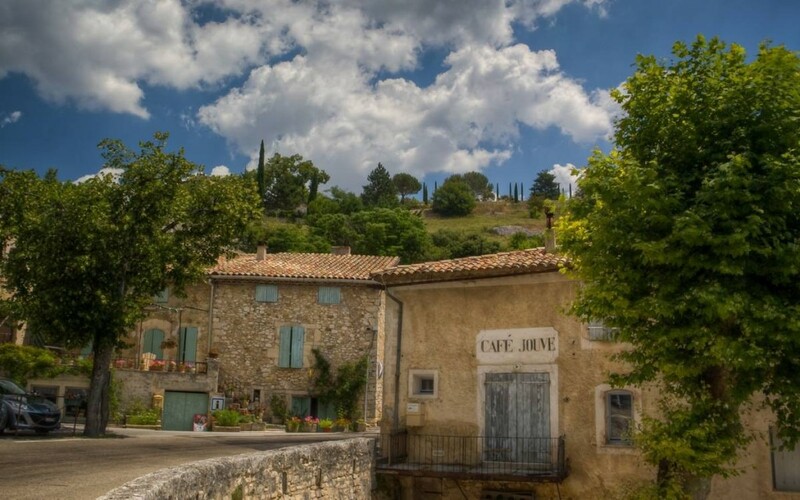 Note: I was kindly invited by Atout France Italy and Provence Guide to discover Provence and the Vaucluse area, and the many enchanting villages of the region. As always, opinions and thoughts are exclusively mine. Great post! I love Provence! I’ve only been to Marseille and Avignon, but your pictures of Aurel looks so beautiful, peaceful, and quaint! Another gorgeous French town to add to my list. I love the signs when you enter a town that tells you in flowers, one, two, or three usually how beautiful a town is. Love it Simon! 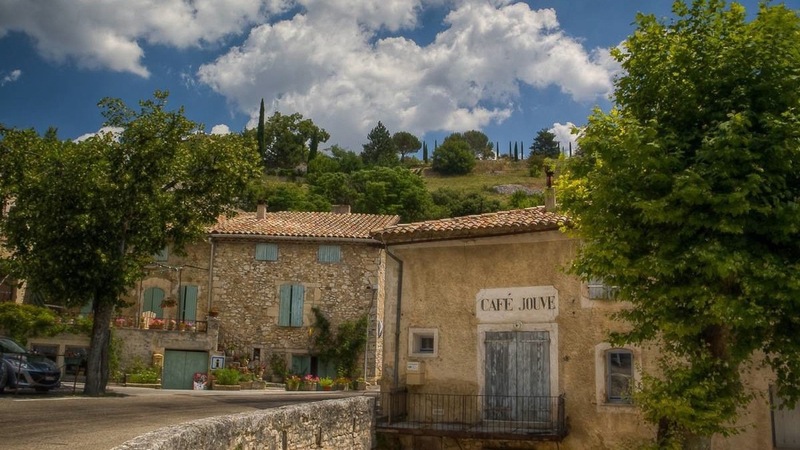 There are so many enchanting villages in Provence that one can easily spend one month just visiting them. I hope to go back next year and see some more.